The Florida Board of Professional Engineers re-appointed Kenneth Todd, PE, as its chair for the 2019 term, and appointed Babu Varghese, PE, SI, CGC, CCC, as its vice chair for 2019. Mr. Varghese replaces C. Kevin Fleming, PE, who was vice chair in 2017 and 2018. The appointments were made at the Board’s December meeting in Tallahassee. Mr. Todd recently retired from Palm Beach County where he served as water resource manager, and was responsible for coordinating all water-resource efforts with county departments and other government agencies. Prior to working for Palm Beach, he spent 11 years with the South Florida Water Management District, serving as a senior supervising engineer in the Regulatory Department, worked as a design engineer and project manager for several engineering consulting firms, and spent two years as the assistant county engineer for Martin County. He received a Bachelor of Science degree in civil engineering from the University of Florida, where he also completed graduate coursework in public works engineering. He is a licensed Professional Engineer in Florida, and was, until 2019, a Certified Floodplain Manager by the Board of Regents of the Association of State Floodplain Managers. Mr. Todd is a Fellow and Life Member in the Florida Engineering Society, and a Fellow and Life Member in the American Society of Civil Engineers. 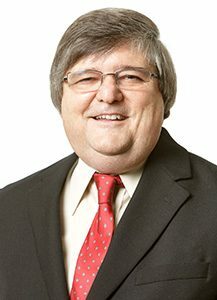 He has served on the Board since 2012 and was first appointed chair in 2018. 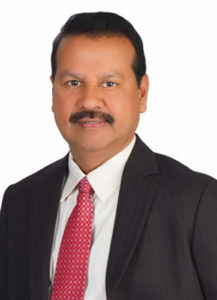 Mr. Varghese is the president and principal engineer of Abtech Engineering Inc., in Fort Lauderdale, which he founded in 1988. His capabilities range from concept through final design on numerous commercial and industrial buildings. Additionally, his experience includes a focus on forensic engineering where he has appeared in court as an expert witness on numerous cases. He is a licensed Florida Professional Engineer, Special Inspector of threshold buildings, Certified General Contractor, and Certified Roofing Contractor. He is also licensed PE in Alabama, Colorado, Georgia, Iowa, Kentucky, Louisiana, Maryland, Massachusetts, Mississippi, Missouri, New York, North Carolina, Rhode Island, South Carolina, Tennessee, Virginia, and the U.S. Virgin Islands. Mr. Varghese holds Bachelor and Master of Science degrees in engineering. He was appointed to the Board in 2015.